The Battlefield series has always been, in part, about destruction. Crumbling buildings and massive “levolution” events that let players change the terrain remove hiding places and drastically change maps. 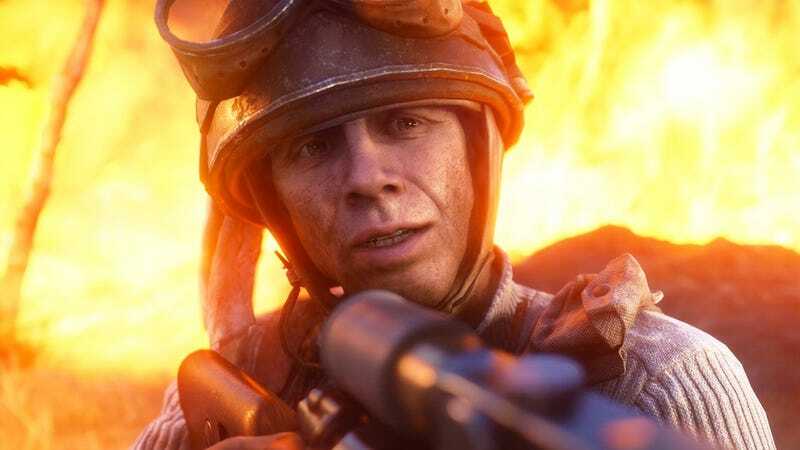 Battlefield V cuts back on these traits in favor of faster gunplay, but there’s still a few cases where mass destruction comes into play. For Firestorm that can mean using tanks to charge entrenched enemies or tossing out a flare to call down a massive V1 rocket strike. Artillery isn’t new to the battle royale genre— PUBG famously had red zones on the map where bombardments occurred, and some of Apex Legends characters can call in their own airstrikes—but the V1 rocket surpasses all of these in scale and destructive capabilities. This Highlight sent to us shows what a well placed V1 can do. The airstrike is a rare item that allows players to call in a massive rocket strike by marking a target with a flare. In a small area, a well-placed V1 rocket can kill dozens of enemies and shatter the armor of anyone lucky enough to survive. There’s a big flaming circle, a few missile strikes, and then a crumbling world. It’s arguably unfair to level the playing field with one simple airstrike, and there’s a way in which the V1 might be as overpowered as Fortnite’s controversial Infinity Blade. But the scale is much larger here. One well places flare could lead to destruction that you can’t get in other battle royales. Countless enemies killed in seconds.